Creator of the renowned “yellow oilskin", for over 50 years Guy Cotten has clothed workers from all horizons and lovers of the outdoors. These 100% Waterproof Trousers are made from a Jersey lined fabric with a single side PVC coated (265 g/m²) outer. 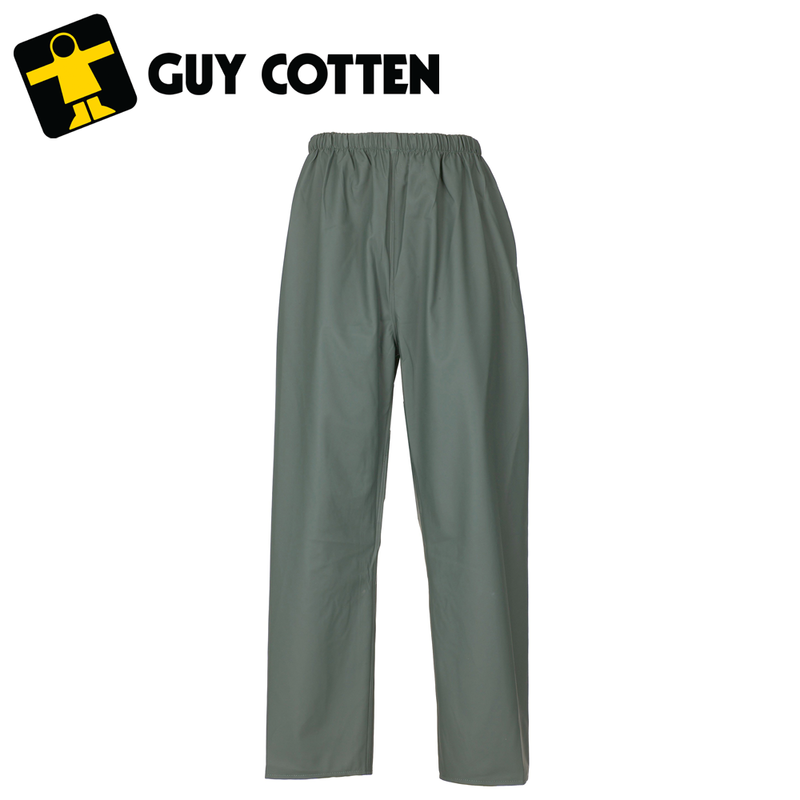 Offering excellent value for money, these trousers are suitable for fishing or general outdoor wear. Thanks to the adapted coating weight the trousers are light and supple making them very comfortable. These are the best value for money, reliable, waterproof trousers that we have come across!